Who failed Syria, Lakhdar Brahimi or the entire world? Lakhdar Brahimi's resignation was no surprise. The U.N.-Arab League special envoy to Syria was preparing himself for such a measure for a long time - ever since he realized that the Syrian regime does not want a political solution and that no political solution is possible considering the Iranian and Russian intransigence and American passiveness. The international community's unwillingness to confront the Syrian crisis is what paved the way towards Brahimi's request to be excused from the task of confronting the biggest and most dangerous tragedy in the entire region since the beginning of the 21st century. Brahimi knew in advance that the Syrian regime cannot accept a political solution for at least two reasons. Despite that, he tried to reach a solution out of his concern for the Syrian people and Syria. There's a humane and Arab side to Brahimi's character. Having to deal with political problems and crises sometimes forces him to hide this side since he's a mediator who must take into consideration the status quo and not personal, national or human emotions. The two reasons that obstruct a political solution - of which Brahimi has always known - are due to the Syrian regime's structure and nature as it cannot take any positive measure if there's not enough pressure on it to do so. As long as there's no pressure, Bashar al-Assad will choose to remain in Damascus even if not a single Syrian remains alive and not a single building stands in a city or a town. The second reason, which is mainly linked to the first one, is the absence of an international desire to take serious measures that alter the balance of power on the ground in Syria. Amending this will is the only means to convince the Syrian regime that it has no other choice but to accept a political solution that begins with a transitional phase. 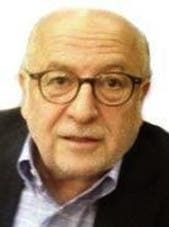 Those who know the secrets of the Syrian situation and regime attribute Brahimi's failure to achieve any progress to Bashar al-Assad's character. Assad lives in his own world that has nothing to do with what's happening in Syria, the region and the world. This is what pushed him to nominate himself again for the presidential elections - the biggest of all farces. The Syrian president has practically rejected the transitional phase recommendations as mentioned in the Geneva I statement. 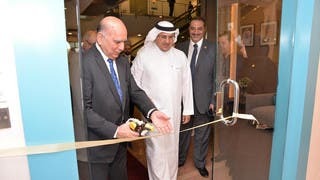 He also rejected transitional phase discussions carried out during the Geneva II conference which was attended by opposition and regime representatives. The basis of a transitional phase is that a government or a committee with "complete jurisdictions" and which does not include Assad is established to manage the country until a new regime is established to restore the country and wrest control from a family that controls everything. During the days of Hafez al-Assad, Syria was property of one sect and some countryside-based Sunnis allied with it. During Bashar al-Assad's era, only the family and some of those revolving around its orbit control everything, including the airport's free zone! The Geneva II conference revealed that such a transformation - which can only be achieved through a transitional phase headed by a committee that has the required jurisdiction - is not possible. There's an Iranian regime which believes that "Syria is either ours or no one else's." And then there's Russia which is willing to send weapons to Assad as long as there's someone in Tehran willing to pay for them. And then there's an American administration incapable of comprehending what's at stake in Syria. This administration's only goal is to reach an agreement with Iran regarding its nuclear program. And finally, there's Israel which the status quo suits best as the war of attrition between the Syrian regime and people means the country will never be strong. Amidst this formula - the major characteristic of which is the establishment of a new Middle East with no borders among countries after sectarian affiliation came above all other affiliations - it's not possible for any mediation or mediator to succeed although Brahimi did his best to reach a middle ground with the Iranians. He visited Tehran several times for this purpose and he was also in permanent contact with Moscow. 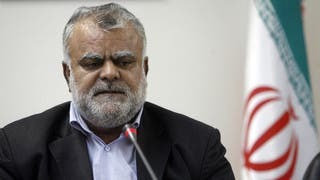 He had to work in an environment where no one any longer asks why Hezbollah, the Lebanese sectarian militia affiliated with Iran, is participating in massacring the Syrian people upon a pure sectarian basis. Even in the U.S., no one objects to Iraqi intervention in Syria anymore! Has the U.S. liberated Iraq of a Baathist family regime in order to establish a regime which supports Iran and protects sectarian militias? Lakhdar Brahimi, and before him Kofi Annan, resigned. However it's not them who failed in Syria. It's the entire world which has failed and surrendered as it seems that it wants to finish up with Syria instead of restoring it. Dividing Syria will have very negative repercussions, particularly on Lebanon which is swamped by refugees. These repercussions will also affect Jordan. There's more to Brahimi's resignation than someone who clearly wants to finish up with Syria. Someone wants the Syrian crisis, which began with the country's independence, to reach its end. Someone wants Bashar al-Assad to attain a third presidential term so Syria can have "a president" who was mysteriously elected - a president who enjoys the destruction around him as he watches from the hilltop of Syrian remains. This article was first published in al-Arab newspaper on May 19. 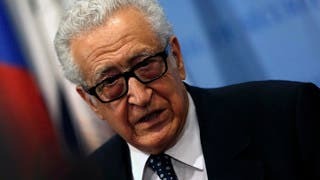 Panorama: Why did Lakhdar Brahimi’s Syria mediation fail ?